The controversial blueprint to build thousands of new homes in Tandridge including a new garden community in South Godstone has been effectively signed off by the council, despite ferocious opposition. A string of councillors attacked the Local Plan during a two-hour debate of Tandridge District Council‘s planning policy committee, many saying it could leave the district without the schools, GP surgeries or adequate roads needed to support thousands more residents. Others blasted the loss of green belt land, or said that building a 4,000-home new community at South Godstone would blight the lives of thousands of people. The plan will now be submitted to the government. A planning inspector will examine it in late spring or early summer and decide whether to reject or endorse it. The document sets out where 6,056 new homes should be built up to 2033. Any of the proposed schemes would still need to go through the usual planning process, but the plan is an outline of where Tandridge intends to build homes to meet its targets. At the start of the debate on Wednesday, December 19, committee chair Keith Jecks urged members that the council would be forced by government to take thousands more homes if the plan was not submitted before January 24. Council leader Martin Fisher said young people were being forced out of the district by a lack of appropriate housing and it faced a “demographic time bomb”. The plan is “infrastructure led”, the council says, and will lead to better roads, an improved Godstone railway station, improved healthcare, and schools. However, independent councillor for Godstone, Chris Farr, called for the whole plan to be scrapped. 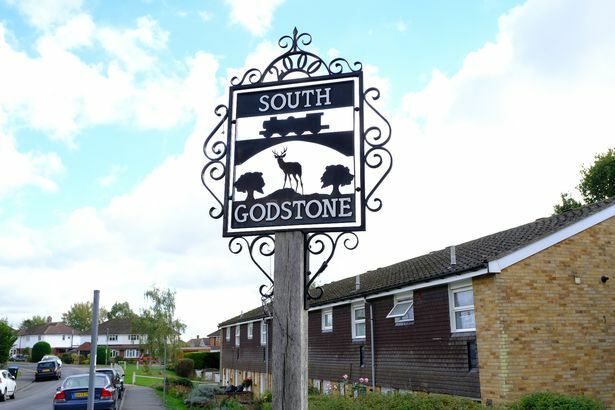 Proposals for the new South Godstone ‘garden community’ would blight the lives of thousands of residents, he said. He also decried the loss of two per cent of the district’s green belt. A key issue raised was the absence of funding commitments for better infrastructure from Surrey County Council and other bodies. A string of improvements, such as new footpaths and pedestrian crossings – which would need to be paid for by the cash-strapped county council – have already been deleted from the final draft. “The lack of detail, funding and land allocated for any of the new infrastructure in the supporting documents means it is unlikely that the promise of new infrastructure will ever be delivered,” said Cllr Farr. Catherine Sayer, Oxted and Limpsfield Residents’ Group councillor for Oxted North and Tandridge, said the council had failed to identify the two key things it needed to improve infrastructure – land and cash – and highlighted an embarrassing denial by the Coast to Capital Local Enterprise Partnership that it would provide funding. The plan was based on weak documents and was not policy compliant, she said. “Far from protecting Tandridge, this plan puts all of Tandridge at huge risk,” she told the meeting. Chris Botten, Lib Dem leader and councillor for Portley ward in Caterham, said the authority was in an “impossible” position and his group members would abstain from the vote. Cllr Fisher told councillors the plan was sound, and it was vital it was voted through, and was submitted by January 24.